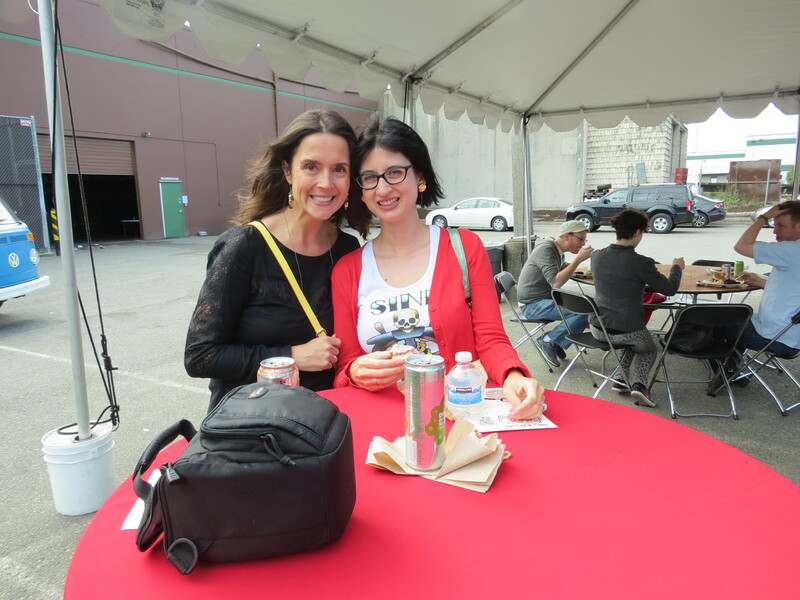 Yesterday, my friend Jenelle & I ventured to The Field Roast headquarters in Seattle for their Open House BBQ Celebration. 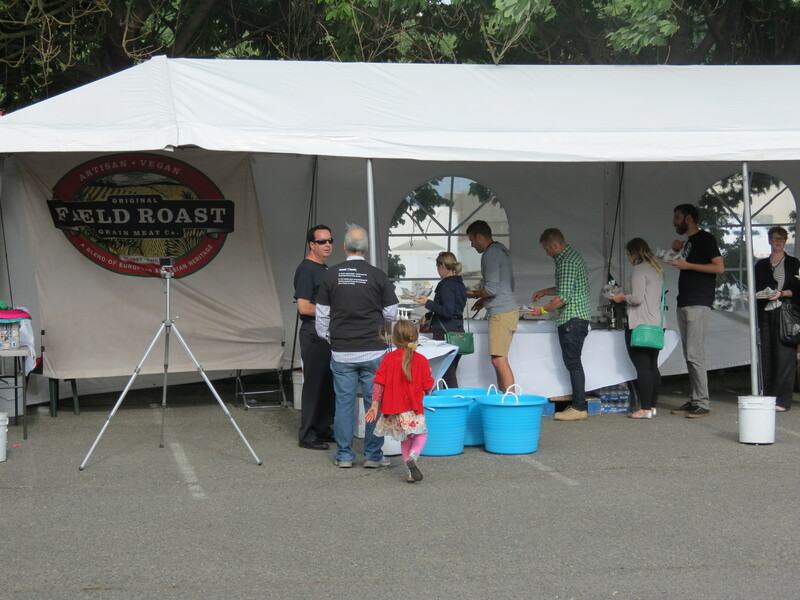 The Field Roast Company generously opened their doors from 2 p.m. to 8 p.m. and everyone was invited for a free meal with beverages, plus a tour of the company, as well as a raffle for some awesome gift baskets. I was thoroughly impressed! First we took a tour of the company. Who doesn’t want to see where their food is prepared? 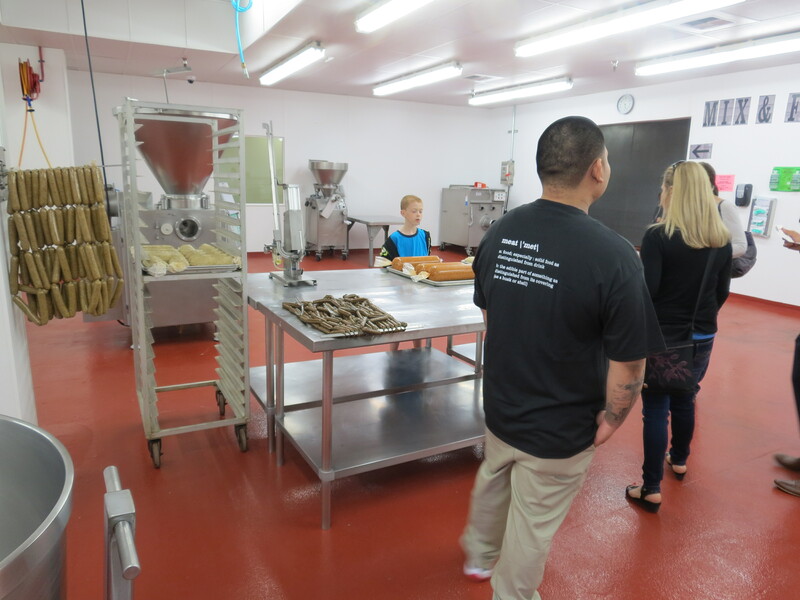 The inside of the production area was really the most impressive part of this whole event to me, a Danish bakers daughter, because my father always taught me that a place that makes food should be impeccably clean! 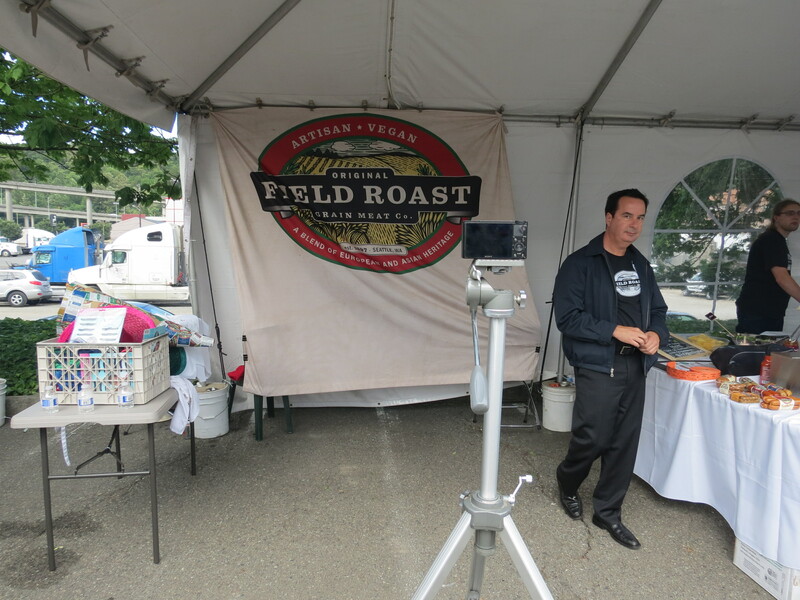 Trust me, Field Roast was spotless! I snatched this picture (and apologize in advance because I’m not sure I was supposed to), but seriously, check out how clean the place is! I asked Jenelle, “Could you imagine a factory farm opening up their doors like this and showing the public what really goes on?” She replied, “No, because then they’d all be going vegan!” And eating Field Roast instead, I may add! Check out those floors! My Dad would have been impressed! 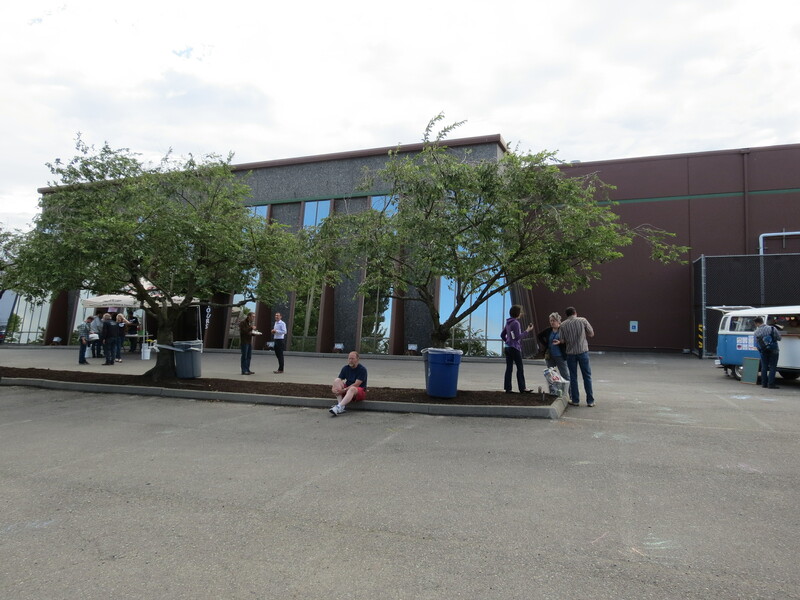 We also got to see their storage area, peak in at the employee changing room, and the giant freezer. The employee who stood by it opened its doors so we could see it on the inside as well! Afterwards we went upstairs and saw the staff’s lunch room and offices. Impressed! Their employees can cook fresh food at work! W also saw their “creativity kitchen” where they come up with new flavors and products! Very nice! I would love to hold a Food for Life Cooking Class for their interested staff members! After the tour we went outside to create our burgers. 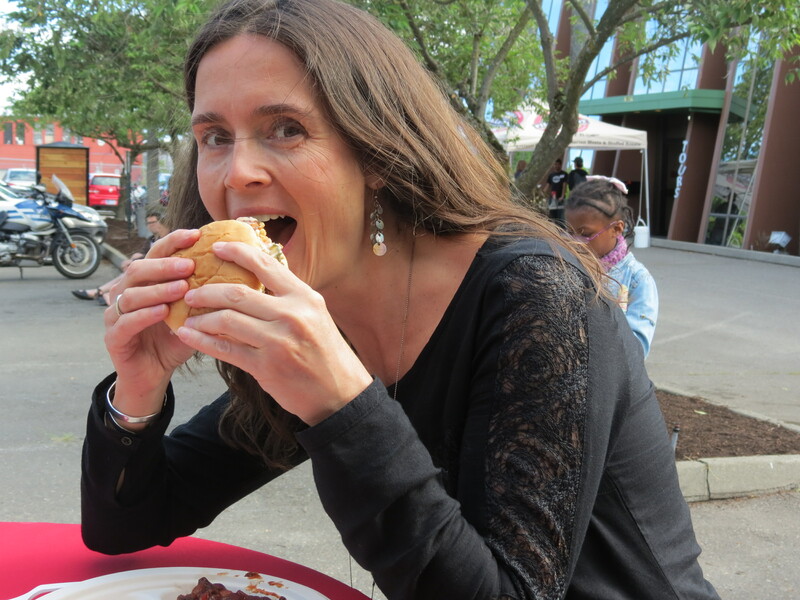 Jenelle took the “Build-a-Burger” challenge way more seriously than I did. I just wanted to eat! Here is her beautiful creation that she has named, “FRESH-E-FRESH”. If she wins the challenge she would get a years worth of Field Roast products. You don’t get to see my not-so-photogenic creation, but for entertainment purposes here I am about to eat it. 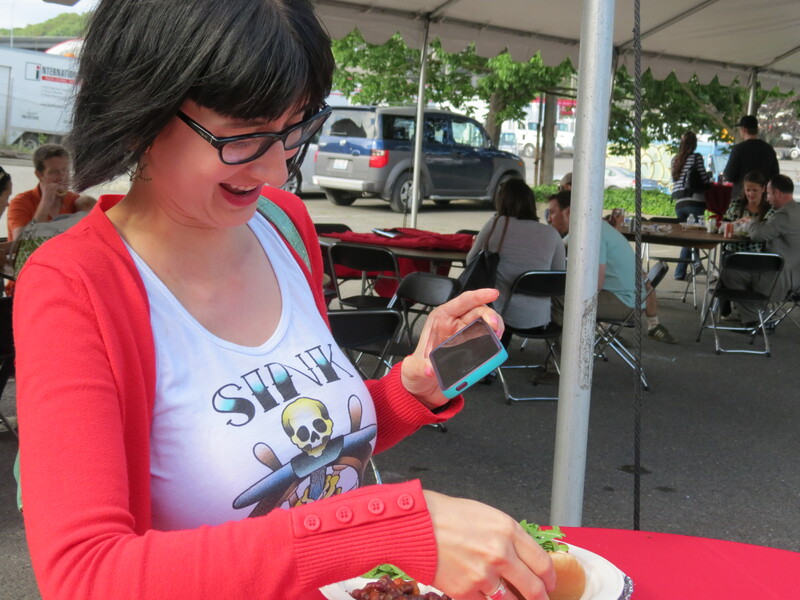 Every bite was fabulous! After our fabulous dinner there was dessert provided from Seattle’s first vegan ice cream truck. Check it out! 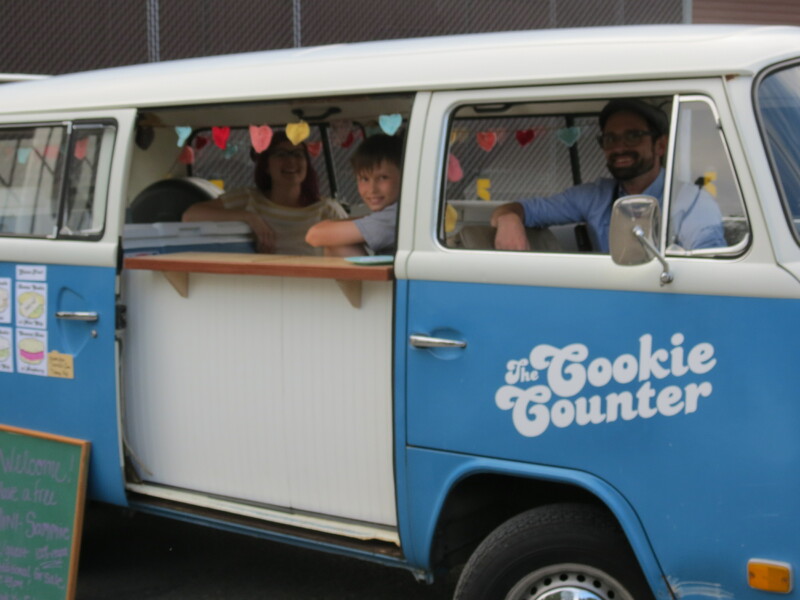 The Seattle Cookie Counter has a Kickstarter Campaign going to launch their vegan ice cream sandwich truck in Seattle. Jenelle has supported this and as a result they will be bringing her delicious treats on the Fourth of July! 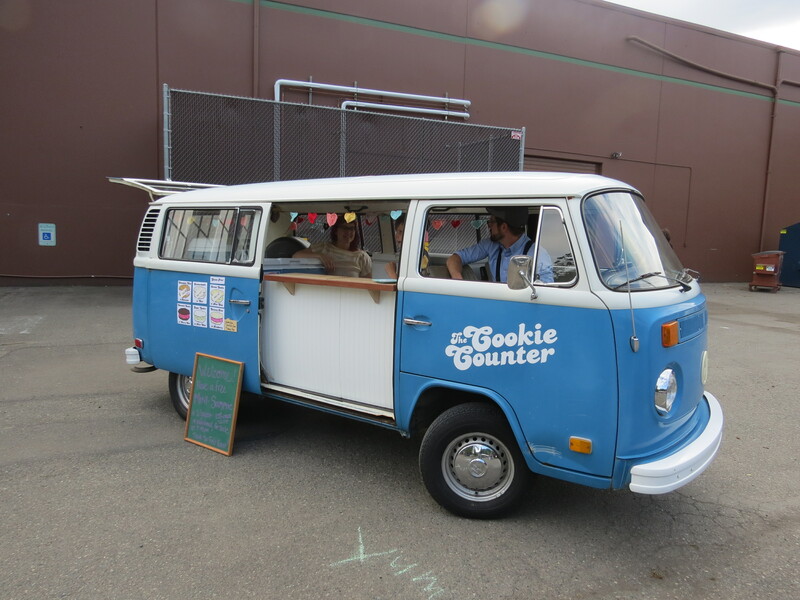 Now here’s truly an ice cream truck that I wouldn’t mind seeing and hearing coming through every neighborhood! This little family is truly some of the nicest people that you will ever meet! 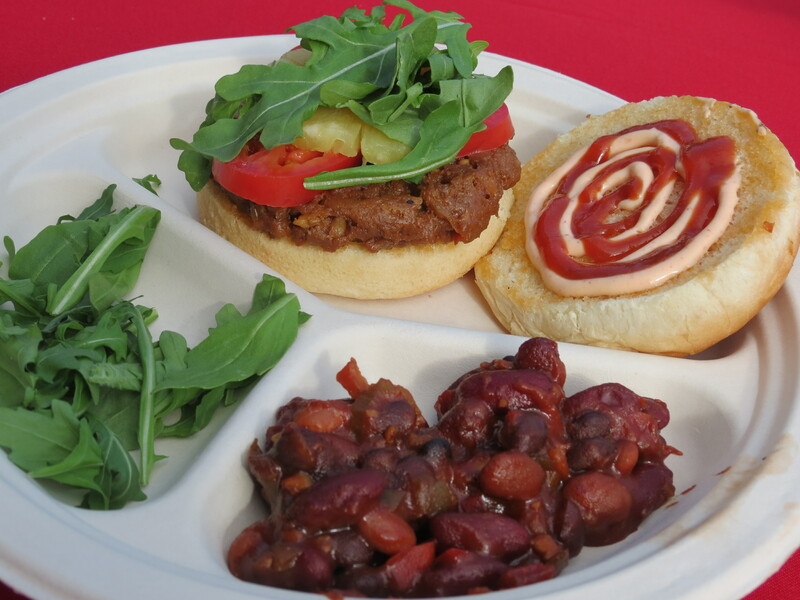 As Field Roast wrote on their site, “We want delicious vegan treats and good people roaming our city.” Hear! Hear! This earth needs more people like them! Want to support them? Make a pledge! 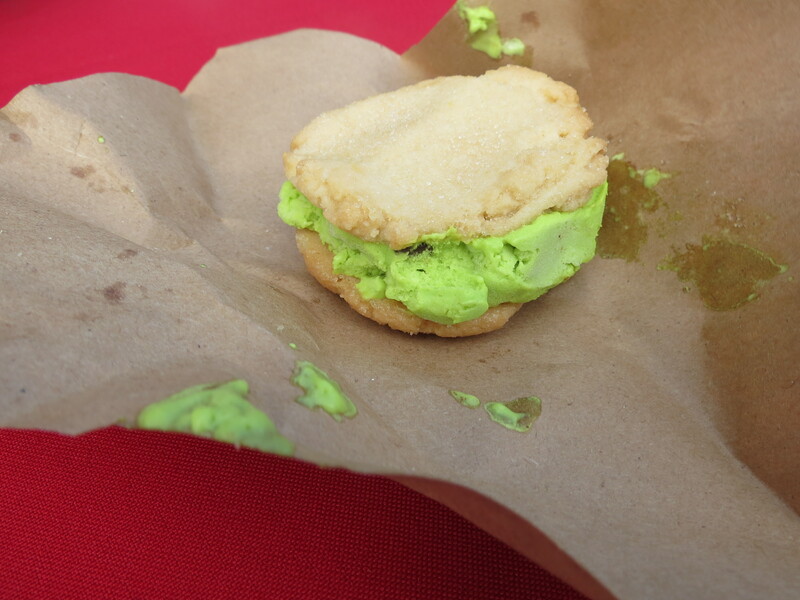 Here’s a picture of my delicious Mint Chip Ice Cream Sandwich from The Cookie Counter in Seattle. YUM! Jenelle had their Coconut Raspberry creation. 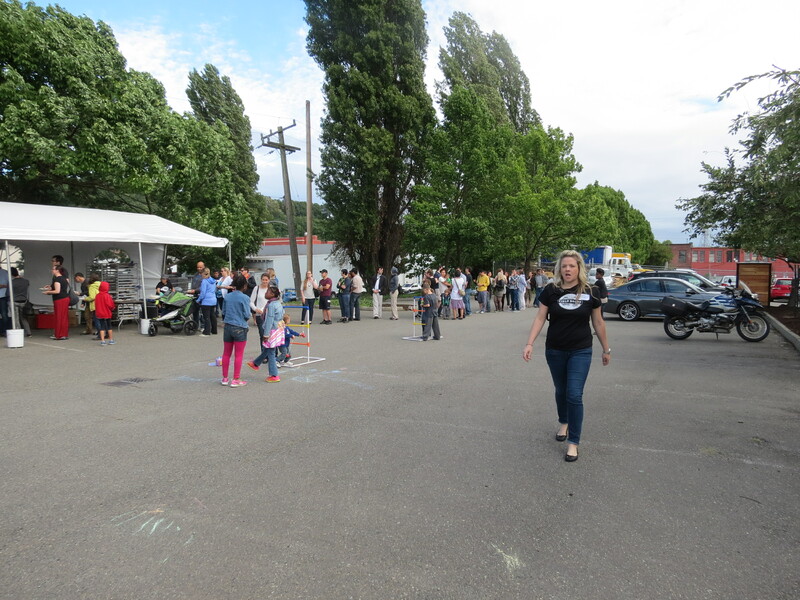 As the evening went on, the line just kept growing at the Field Roast Open House BBQ Celebration. We were not surprised. Here’s a few more pictures that I snapped outside. Thank you so much Field Roast for a fantastic experience and for a very tasty dinner and treats! 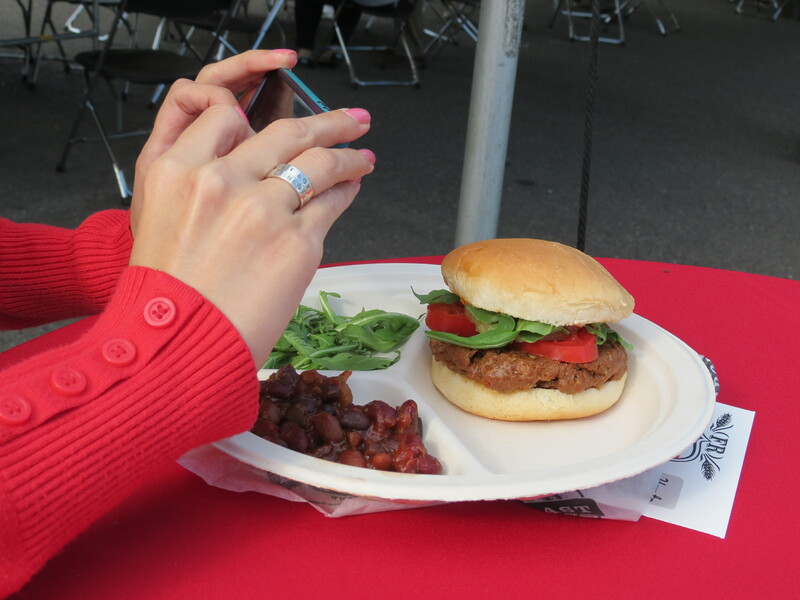 Your company and team went above and beyond with this event! We are so proud to have you here in Washington State! You have a fantastic group of employees working for you and we both look forward to your next event or to work with you! Jenelle and I are both PCRM certified Food for Life Instructors!